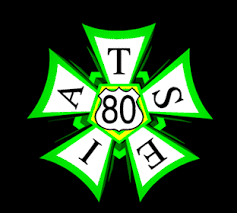 WESTERN STUDIO SERVICE employs its labor force through Local 80, the Motion Picture Studio Grips & Craft Service division of the International Association of Theatrical Stage Employees. These are the most highly skilled stage hands who take training and safety classes yearly in order to maintain their guild membership. Your scenery and other property will be handled by the best trained and equipped crews in the business. Whether putting items into storage or transporting them across Southern California your property will be handled with safety and respect.